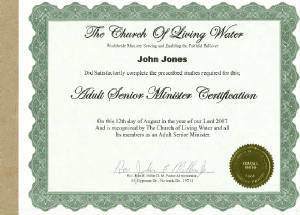 Senior Adult Certification $20.00. You do not need to be a paypal member to use your credit card. These trends will significantly increase healthcare delivery costs, which now represent 13 percent of the gross national product. By 2030, one in five Americans will be eligible for Medicare. [Foundation for Health in Aging, American Geriatric Society]. In 1995, almost 30 percent of older Americans assessed their own health as "fair" or "poor," compared to less than 10 percent in the general population. More than one third reported being limited by at least one chronic condition. In 1995, this older population represented 40 percent of all hospital stays and 49 percent of all days of care in hospitals. The average length of stay for this older group was 7.1 days, compared to 5.4 days for those patients under 65. Thirty-three million older Americans are enrolled in Medicare, with slightly more than four out of five actually receiving medical services covered by Medicare. Eleven million elderly persons received services under Medicaid. ["Profiles of Older Americans: 1998," Administration on Aging]. We in this course are focusing on the spiritual needs of the elderly in nursing homes. You want to further yourself as a person of God. You wonder what can I do for the Lord and help people at the same time. Am I worthy of serving the Lord to help others that cannot help themselves. The one that would love to be in the house of the Lord. Are you willing to see people that cannot do even the simplest task? Get out of bed, go to the bathroom, comb their hair, brush their teeth, clothe their- self, feed theirself, to see, to hear, to walk, to talk. Only be able to go outside after death. They may not have a Bible. They may not know the Lord, and are afraid they will not go to heaven. They may not be saved. They don't know how to be saved. Colossians 1v9 "That ye might (walk) worthy of the Lord unto all pleasing, being fruitful in every good work, and increasing in the knowledge of God." Deuteronomy 6v7 "And thou shalt teach them diligently unto thy children, and shalt ( talk ) of them when thou sittest in thine house, and when thou walkest by the way, and when thou liest down, and when thou risest up." Luke 6v39 And he spake a parable unto them, Can the ( blind ) lead the blind? Shall they not both fall into the ditch?" Revelation 5v4 "And I wept much, because no man was found worthy to open and ( read ) the book, neither to look thereon." Mark 16v16 "He that believeth and is baptized shall be ( saved ); but he that believeth not shall be damned." I Corinthians 12:25 "That there should be no schism in the body; but that the members should have the same care one for all." Revelation 1v3 Blessed is he that readth, and they that hear the words of this prophecy, and keep those things which are written therein: for the time is at hand." Volunteering to to serve in a nursing home is very rewarding. You have to be a very special person to do special work. To volunteer to serve these people is a blessing from God. 1v4 Knowing, brethren beloved, your election of God. 1v5 For our gospel came not unto you in word only, but also in power, and in the Holy Ghost, and in much assurance; as ye know what manner of men were among you for your sake. 1v6 And ye became followers of us, and of the Lord, having received the word in much affliction, with joy of the Holy Ghost." Do you just walk in the door? You must first of all remember without God's help we cannot do the work. The blessing you receive is when the residents smile and ask you back. Even then you could not do this if you where in charge. The blessing comes from God all mighty and you are doing His work. You cannot get them to heaven, but they only can go through Jesus Christ our Lord Who died on the cross for our sins and rose from the dead three days later. The people you see before you go to the residents. First, here is a little information about the facility that you are about to walk through their doors. Their staff provides the residents with licensed people through the state. Licensed Administrator's assisted by Director of Nursing. The activities and social services programs are coordinated and implemented by qualified Activities and Social Services Directors, Doctors, Registered Nurse's (RN), Licensed Practice Nurse's (LPN), Certified Nursing Assistants (CNA), Certified Medical Assistant's (CMA), Cafeteria People, Maintenance People, Office personnel, Volunteers, Hospitals, Mental Health, Physical Therapist, Medicine, Dietitians, Laundry, Bath Teams, Hair Dressers, Janitorial, State Inspectors, Fire Inspectors, Law Enforcement, Attorneys, Light Company, Gas Company, Overseer of Residents Care and Payments, Churches, Trips, Family Support, etc. . This is not all the people involved with in the special care to ensure an efficient and secure environment for the residents. Remember these facilities are these people's home and for a lot their last home on this earth. Nursing and rehabilitation Centers do require volunteer workers to meet a certain age. They must possess the sincere desire to work with infirm and aged residents, must possess the ability to follow instructions, written and oral, and willing to cooperate with department managers and other personnel. That can help you in your quest to help those in need. A volunteer must have patience, tact, a cheerful disposition and enthusiasm. It takes a good Christian and everything else will fall into place. Volunteer work is done on your time to give yourself personal satisfaction. It helps you build up your self-esteem. This can help you in your doing work for the Lord and the experience working with people that can help you in the ministry. It shows leadership working with co-workers and doing where God may lead us. The nursing homes volunteer work leads you to not only working in the spiritual Service. But help with holidays, activities (Bingo, reading, trips, take outside, walk inside, crafts, coloring, Knitting and much more). They recognize volunteer work as an essential part of the family care facility. You are rewarded for everything you do. Try it and you come up with the rewards you receive. Ok you are set to give what you feel your best talented in, and maybe more. There are a lot of areas you can choose from. Remember you volunteer on your flexible hours day or days convenient for you. Ask the Activities Director if there is a special job she or he may need that day. Make a commitment and keep it. Because remember the residents of the facility are there waiting for you. 1.Once you have decided where you want to volunteer, you need to review a few facts about working with the residents. Wear I.D. to identify yourself to residents and staff. 2.Sign in and out of the nursing home, and keep track of time and hours. And you may want to keep track of each person, so you can learn them as individuals. Most of all to pray for them. 3. When dealing with information concerning the resident remember to keep it confidential and do not discuss it outside of the facility. The staff as well as the residents are trusting you not to violate their rights by repeating anything you hear. 4. If you want to take a resident out of the facility. Make sure to clear it with the proper people in charge of their well being. And tell the Charge Nurse, then sign the resident out. 5. Be totally aware of the resident's special needs, and be able to handle what they need when signing out and taking responsibility for them. Don't let this handicap you in your decision to take them out. Just take the time to help them in further needs. 6. Notify the Charge Nurse of any accident involving the resident or change in the resident's condition. 7. Remember to wash after you are done with each one. You could be the culprit of staff infection and could contribute to the health and well being of each and every person with whom you come in contact. For your protection, don't accept gifts or money from the residents. To do so would create harmful effects, in which case you should consult with the Activities Coordinator or respective department head. Notify the Activities Director if a resident requests assistance in cashing checks or other financial transaction. Don't try and undertake any task that involves direct resident care or that your supervisor has not permitted. Do Not walk with a resident you are not certain is steady on their feet before checking with someone on the nursing staff. Do Not remove safety restraints (belts or vest) as these are used for the resident's protection. Before giving any resident food or something to drink please check with the Charge Nurse. These restrictions might include sugar or salt, fluids. Or they may have difficulty in swallowing and are restricted to soft drinks. Request staff assistance when a resident requires lifting, transferring or going to the bathroom. Any request that you are uncertain of should be passed on to a member of the nursing staff or Activities Director. Check in with Activities Coordinator or designated staff member upon arrival. Knock on all (open or closed) doors and wait for response before entering. Leave room if a doctor or nurse desires to see or treat a resident. Do not enter the room that is posted "Isolation" or "No Visitors". You may be pretty nervous when you first start volunteering because you are afraid you might not know what to say or how to act around the residents. But soon you will learn there is nothing to it, just be yourself. Knock before entering a resident's room, and wait for an invitation to enter. For residents with hearing loss, you may need to get their attention in another way such as waving "hello" or making eye contact. Identify yourself, giving your name and your reason for coming. Shake hands but let the resident do the squeezing - he or she may be arthritic. Speak clearly, slowly and distinctly. This is particularly important if a person has a hearing problem. The diction and speed with which one speaks may be more important than the volume of the voice. Do Not shout; remember that to a hard-of-hearing person, lip movements may assist in communication. Repeat words or sentences if necessary. Begin the conversation with questions about the resident and things that are important to him/her. Ask questions about family, hometown, meaningful past experiences, church attended or given name. Be prepared to listen, allowing the resident plenty of time to answer questions you have asked. It may take the older person longer to respond to a question for he or she may need time to sort through his or her memory bank to find the answer he or she wants to give. Wait. Don't ask a second question until the resident has had time to answer the first question you ask. Don't argue with a person, whether you agree with them or not. Avoid controversial subjects. Be open to a resident's tendency to be frank and in turn honest with him or her. Be sensitive to the resident and his or her needs. You will know when you have stayed long enough by such signs as: restlessness, lack of interest, drowsiness. The length of your visit will not be as important to him or her as the fact that you have been there, so do not wear out your welcome. It is going to shock you on how many residents and including nursing staff and other employees that believes in the Lord. I have had employees come to me to pray and to get advice. They do not have a chance to go to their church or may need a church. The residents may need to be saved . I personally had people in their 80's that needed saving. I had one get saved and died that night while I was home. Remember you don't save people, it is through you from our Lord Jesus Christ that they are saved. Always say a prayer for them just before you leave. Say goodbye and indicate when you expect to return. Notify the Activities Director at least one day in advance, if possible, if you cannot make your scheduled visit to the facility. Eating and drinking is allowed only in designated areas. Never bring alcoholic beverages, drugs or unauthorized articles into the facility. - Think First - before you do or say anything remember you represent the Lord. There are some important safety rules you need to follow. These precautions help keep the residents safe! Some of the residents rely on the use of a wheelchair for transportation. Listed below are some important guidelines to keep in mind when assisting residents in wheelchairs. Never operate equipment you have no special training to use. Remember you are a volunteer there to assist. Make sure to speak to the resident and make sure he or she knows you are going to "push" their wheelchair before you begin movement. Never surprise a person by coming up from behind. Always lock the wheels when the resident is transferring or going to stand. If resident is restrained, make sure he or she remains restrained. Go Slowly. There is a danger of running into the other residents if you speed down the hall. Always be careful of not being able to see around corners, and coming in or out of a doorway that someone else may be coming around or out. Park empty wheelchair so that doorways are never blocked. Report unsafe, broken wheelchairs to a nurse. Be careful of bumps, uneven surfaces or sudden stops. I was almost thrown out in to the intersection of traffic, from someone pushing the wheelchair who wasn't aware of the unsafe situation. Let the residents know when you are leaving him or her. As you can see, we are concerned about the safety of the residents, staff and volunteers. For that reason we must always be prepared for emergency, such as fire or tornado, even though we do our best to prevent emergency situations. In most emergency situations, the best thing to do is to stay calm and allow staff members to handle the incident. However, there may be times when you must necessarily interact with a resident during an emergency. The main thing for you to remember is not to panic! It is important to be calm and reassuring with the residents to keep them from being unnecessarily frightened. Locate the person in charge or any full-time associate, and they will be able to instruct you on the procedures you are to follow. Calmly follow their instructions and please, remember the most important thing is. As was stated several times through reading this, you should feel free to ask the Activities Director, Social Services Director or other staff members any questions you may have as a volunteer. I never had any problems with talking about the Lord. Because you are getting to know the residents as individuals and as friends, there may be time when you feel concern for them or want to understand them better. You may want to adopt one to take care of things like if they need new clothes or just wash their own clothes. Many times the volunteer my be aware of needs or concerns the resident has not expressed to the staff. These are things you should talk to the Activities Director about. He or she may be able to lend an insight or help meet a need the resident has expressed by passing information on to the appropriate person or persons. 1. It's a good idea to meet with your team members 1/2 hr. before you go to the Nursing Home so the team can pray over personal things so that they can better focus on the residents needs. 3. Work with the staff to get residents to and from meeting rooms. 4. Don't ever force residents to the service. 5. Leave your church denomination at the door, lift up Jesus not your church. 6. Have a plan but always be prepared for the unexpected. 7. Maintain an attendance roster whenever possible. This will help you remember new folks and remind you of ones that may need a personal visit. 8. Music should be played slower and in a lower key; mostly older hymns and choruses are best loved. 9. Use the best sound equipment that you can afford to purchase. 11. Avoid preaching on topics that have little meaning to people who are in their last years. 12. Be sure you have a point to make. Keep the message uncluttered with many details and stick to the point. 13. A 10 to 15 minute message can often say much more than a 45 minute message. 14. Speak loudly, slowly, and clearly. 15. Avoid preaching against religous practices; lift up what is right, not what is wrong. 16. Encourage residents involvement with message by asking questions and having them quote scripture. 17. Don't be afraid to challenge the residents, but do not pressure or Lord over them. 18. Seal the message with prayer. Pray with residents individually whenever the opportunity is presented. 19. When the service is over, shake hands with all the residents and be prepared to pray for individuals. 20. Leave the meeting room cleaner than when you found it. 21. Shake hands with all residents before you go home. 22. Quality should be the same as you desire in your home church. Pray all during the week for the Lord to teach you so that you can teach His people in the nursing home. Remember; the message is not only for the resident, its for you too. Find 3 or 4 Scriptures that specifically address the point. Avoid being overbearing by sharing too many Scriptures. Read your text from several translations to get a deeper understanding of your message. Consider examples, true life stories. Plan to share from your heart so that the message flows smooth and is not choppy. They are expressed in this one word "PEACE"
P - To help residents to find peace with God for their present, past and their future. John 14v27 "Peace I leave with you; My peace I give you. I do not give to you as the world gives. Do not let your hearts be troubled and do not be afraid." E - To encourage the residents to examine and excel in their personal relationship with the Lord. 2 Peter 3v18 "But grow in the grace and knowledge of our Lord and Savior Jesus Christ. To Him be glory both now and forever! Amen." A - To encourage the residents to be active in helping their fellow man. James 2v26 "As the body without the spirit is dead, so faith without deeds is dead." C - To help the resident understand and accept Change. 2 Corinthians 4v16, "Therefore we do not lose heart. Though outwardly we are wasting away, yet inwardly we are being renewed day by day." E - Offer the residents Godly love and encouragement until their journey is complete. Hebrews 10v25, "Let us not give up meeting together, as some are in the habit of doing, but let us encourage one another—and all the more as you see the Day approaching." Love them as people not a ministry. in subject line type "Senior Adult Ministry test"
1. In 1997, _____ ______65 had a life ______ of 17.6 years. 2. By _____, one in five _______ will be eligible for Medicare. 3. We in this ______ are ________ on the spiritual needs of the _______ in Nursing homes. 4. Am I ______ of serving the ____ to help others that cannot help ________. 5. They may now the ____, but ______ they will not go to ______. 6. To _________ to serve these people is a ________ from God. 7. You must first of all ________ without _____ ____ we cannot do the ____. 8. The _______ and ______ services programs are ___________ and implemented by _________ Activities and Social Services Directors. 9. ________ these __________ are these people's ____ and for a lot their last home on this earth. 10.A _________ must have ________, ____, a cheerful __________ and __________. It takes a good Christian and everything else will fall into place. 11. They must _______ the _______ desire to work with ______ and aged residents. 12._________ work is done on your ____ to give yourself personal ____________. It helps you build up your __________. 13. They _________ the _________ work as an _________ part of the family care ________. 14. ________ you volunteer on your ________ hours, day or days __________ for you. 15. Once you have _______ where you want to _________, you need to ______ a few facts about working with the _________. 16. When _______ with information concerning the ________ remember to keep it ____________ and do not _______ it outside of the facility. 17. 17. Be totally _____ of the resident's _______ needs, and be able to handle what they need when _______ out and taking ______________ for them. 18. For your _________, don't accept _____ or _____ from the residents. 19. Do Not ____ with a ________ you are not certain is ______ on their ____ before checking with someone on the _______ Staff. 20. _______ staff __________ when a resident requires _______, ____________ or going to the _______. 22. Do not _____ the room that is ______ "_________" or "___________". 23. _____ before ________ a resident's room, and wait for an __________ to enter. 25. Ask ________ about family, ________, meaningful past ___________, church attended or given name. 26. Be _________ to the resident and his or her _____. 29. Go ______. There is a danger of _______ into the other _________ if you _____ down the hall. 30. Let the _______ know when you are _______ him or her. 31. For that reason we must always be ______ for _________, such as ____ or _______, even though we do our best to prevent _________ situations. 37. _______ should be the same as you ______ in your home ______. 39. Five long term goals that lead to successful ministry in a nursing home is expressed in what word?